ASX-listed iCar Asia Limited, which claims to own Asean’s No 1 network of automotive portals, announced it has entered into an agreement to acquire DQBP Sdn Bhd, owner and operator of LiveLifeDrive.com. LiveLifeDrive.com is Malaysia’s fastest growing automotive website, iCar said in a statement, having grown over 400% through 2012 to approximately 272,000 unique visitors in November, according to Effective Measure. The website provides extensive coverage and reviews of new cars in Malaysia. The acquisition further strengthens iCar Asia’s foothold in the Malaysian market as it continues to grow its reach and offerings, the company said. “Combining our leading classifieds website, Carlist.my, with LiveLifeDrive.com will create the clear No 1 website in Malaysia for people looking to buy or sell new or used cars,” said iCar Asia chief executive officer Damon Rielly (pic). 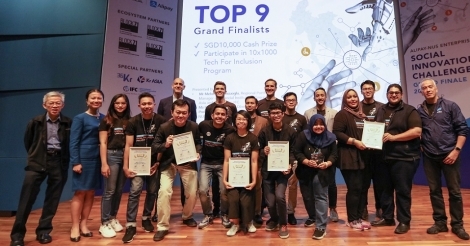 “I am also very excited to have the team from LiveLifeDrive.com join iCar Asia and to work with them to deliver results through 2013,” he added. UPDATE: In a separate statement posted on its website, iCar Asia said the consideration for the purchase is up to RM6.5 million (A$2 million). The first RM1.7 million (A$0.53 million) is payable on completion of a sale and purchase agreement and will comprise RM600,000 (A$190,000) cash and RM1.1 million (A$340,000) in iCar Asia shares. A further RM1.8 million (A$540,000) will be payable 18 months from that date in equal parts cash and iCar Asia shares. The balance potential RM3 million (A$930,000) relates to non-guaranteed, performance-based payments and would be split evenly between cash and shares. Headquartered in Kuala Lumpur, iCar Asia is focused on developing and operating leading automotive portals in Malaysia, Indonesia and Thailand. It claims its online property currently reaches over 1.5 million car buyers and enthusiasts in the region every month. Its network includes Indonesia’s Mobil123.com and Thailand’s Autospinn.com.